Sainted Iakov (James), Bishop of Rostov, according to a local tradition, received monastic tonsure at Kopyrsk monastery on the River Ukhtoma, 80 kilometers from Rostov. For a long time he was hegumen of this monastery, and in the year 1385 he was made Bishop of Rostov when Pimen was Metropolitan and Dimitrii Donskoy was GreatPrince. In defending a woman condemned to execution, the saint, following on the example of the Saviour, bid cast at her the first stone, whomsoever considered themself without sin, and he then sent forth the woman to repentance. 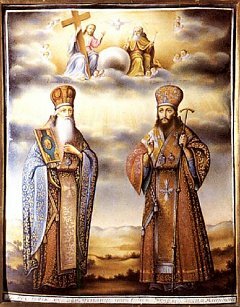 The prince and the Rostov boyar-nobles, disgruntled over the bishop's judgement, threw Saint Iakov out of Rostov. Leaving the city, the saint proceeded on to Lake Nero, spread on the water his hierarch's mantle, and having signed himself with the Sign of the Cross, he sailed off on it as though on a boat, guided by the grace of God. Having gone off one and an half versts from the city, Saint Iakov emerged on shore at the place of his future monastery. The prince and the people, repenting their actions, besought forgiveness of the saint. The gentle bishop forgave them, but he did not return back again. On the shore of Lake Nero he made himself a cell and built a small church in honour of the Zachatie-Conception by Righteous Anna of the MostHoly Mother of God, marking the beginning of the Zachat'evsk Iakovlevsk monastery. Saint Iakov died there on 27 November 1392. The opinion has circulated, that Saint Iakov contended against the Iconoclast heresy of a certain fellow named Markian, who appeared in Rostov towards the end of the XIV Century. The more ancient of the vitae of the saint make no mention of this, and even the great hagiographer Sainted Dimitri of Rostov was unaware of it. More recent hagiographers were wont to take into account the service to Saint Iakov of Rostov. 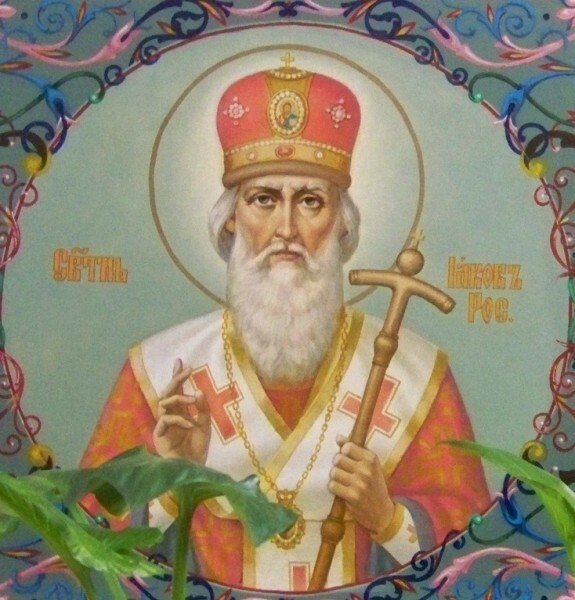 But the service itself, preserved in copies from the XVI-XVII Centuries, was compiled by way of borrowings from the service on 6 February to Saint Bukolos (+ c. 100), who struggled against the I Century heretic Marcian, and from the service to Saint Stephen of Surozh (VIII, Comm. 15 December), who contended against the emperor Constantine Kopronymos (741-775).